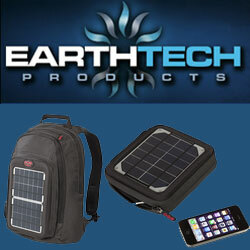 A solar panel backpack is a cloth that is carried on one’s back and secured with two straps that go over the shoulders. This component is also equipped with thin-film solar cells and batteries. The solar panels are known to convert sunlight into electricity that in turn is stored in the cells and can be used to power portable electronic appliances, for instance, mp3 players and mobile phones. This backpack can provide you with the power of up to 120watts a day.The following are some of the backpacks that you can find in the market. You have always heard of Sakku bags before but what we are bringing you is the newest of its products that are craftily crafted with solar panels. This bag does not only have an added advantage over other bags of having a battery that can store energy from the solar, but all these bags are manufactured in Switzerland all emissions generated during production are offset. You don’t have to forget about its eye impressing nautical styling that automatically gives it its added advantage. You can get it a Sakku at $497. It is time for you to share the sun but first, you have to acquire this backpack that has all the functionality and looks of a well-equipped kit with the addition of a solar charging feature. The front flap features a light-weight, flexible, and integrated solar panel that is responsible for powering your battery to store charge so that you can use as you walk or hike. The pockets that have been fitted on either side of this backpack are large enough to hold sports bottles. Inside it, there is enough space where you can carry your tablet and other items that you need of even don’t need. This kit has been made to take sufficiently care for your needs. What you should do is purchase it from Amazon dealers and stores at only $149.99 and save up to 25% off its original price. This voltaic generator is the first solar panel backpack powerful enough to charge a laptop. It comes with a solar panel that generates upto 16 watts using 18% efficient cells, enough to fully charge the voltaic battery in 7 hours. It has a battery pack that extends the runtime of a laptop upto 2x, fills smartphones upto 8times. It is also handy as it comes with common adaptors for connection to laptops, phones, iPhone, iPod and other handheld devices through USB adapter. To use with a macbook Pro, macbook Air and macbook you will need a reconfigured apple magsafe adapter which you can obtain at Earthtech Products. It also comes with a solar panel that is waterproof, scratch resistant, and UV resistant while its solar panel efficiency is high at 18% and is made of mono crystalline cells. The panel generates up to 15 watts of power which will recharge the voltaic battery from approximately 7 hours of direct sunlight. Technology keeps on changing each day and in fact, it changes each minute. We are in an era where phones, tablets, and other related devices are necessary for our lives, and a must have for everyone. But maintaining their charge is the problem. Now, why should you worry when we have these solar backpacks here for you? They can keep your phones, and other devices charged all day all the time. What you need is to have time and go and buy it. These are the best in the market, and they are affordable. You will get the best customer service and in fact, as soon as your order is received, it starts being processed so that you get it soon.